Have a Baby? 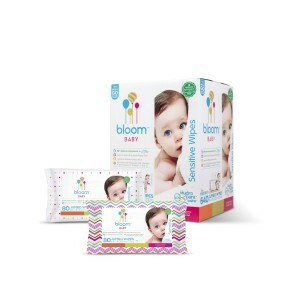 bloom Baby Wipes are a must-buy! You are here: Home / Featured Products of the Week / Have a Baby? bloom Baby Wipes are a must-buy! Do you have a baby in the house? bloom baby wipes are a real necessity! I don’t have a baby in the house but had a friend try these out and they are her new favorite baby wipes! She loves that they are made from 100 percent HydroPure Water and are great for her babies sensitive skin! At bloom Baby, we believe less is more, simple is good and that there’s a sweet spot where nature and responsible science can come together to create products that are safer for baby and also make life easier for parents. At a price point that is actually attainable. bloom BABY Sensitive Wipes are currently available a Target. Self Disclosure: I received free samples to facilitate this post. Photo Credit: bloom Baby.